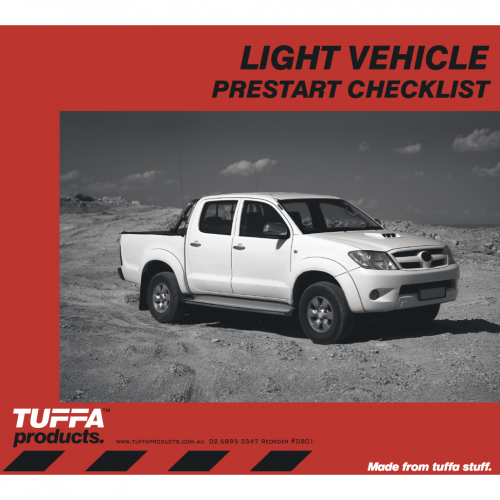 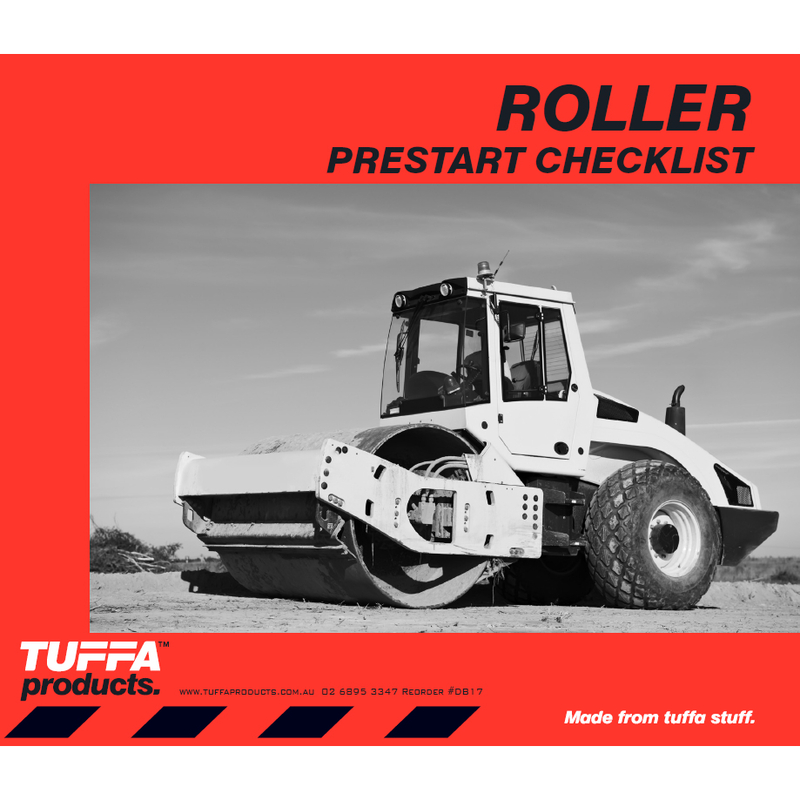 Implement a Roller Prestart Checklist Book from TUFFA™ Products to ensure your machinery is in safe and working condition. 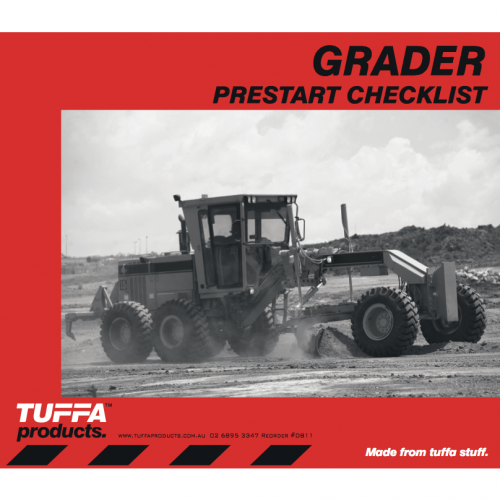 Keep your plant in top working order through daily checks on critical parts and functions. 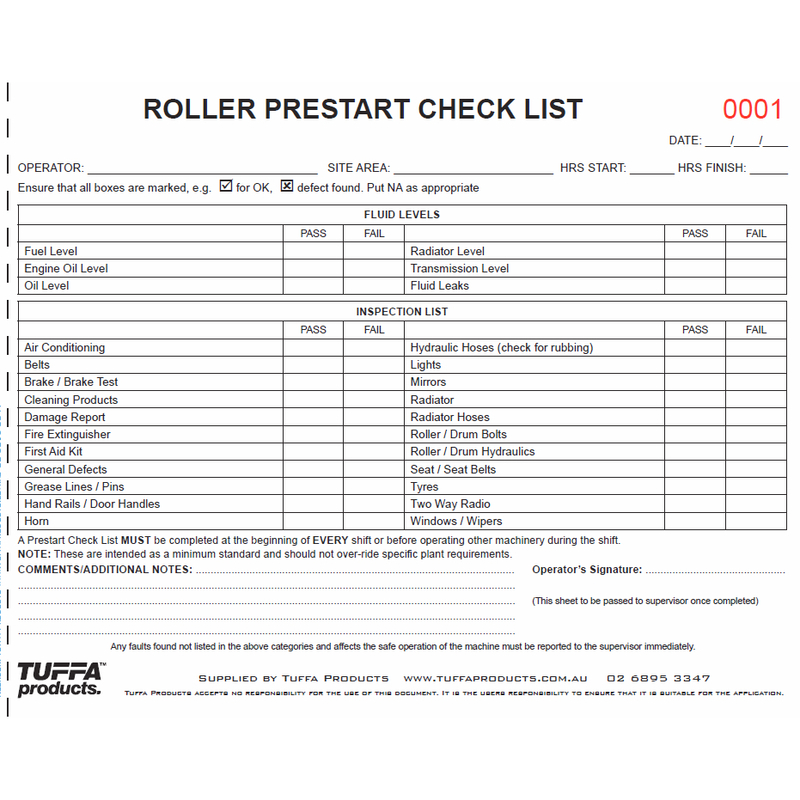 A roller prestart checklist must be completed at the beginning of every shift.